Test Automation for POS – Are you doing it right? 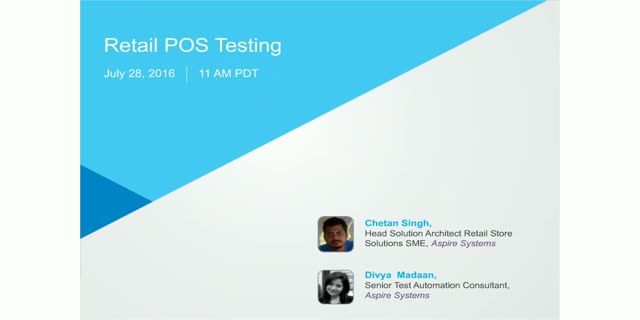 Our speakers, having worked with several retailers understand deeply the challenges in POS testing and the factors that need to be considered while automating the test process. Register now to join the industry leaders! Title: Test Automation for POS – Are you doing it right?